It’s not often that we website designers get the time to help our friends and family with pro bono design projects, but when we do we take it just as seriously as we do with any of our customers. This blog was designed professional by Simon Hayter (our beloved founder) for his girlfriend Lauren. 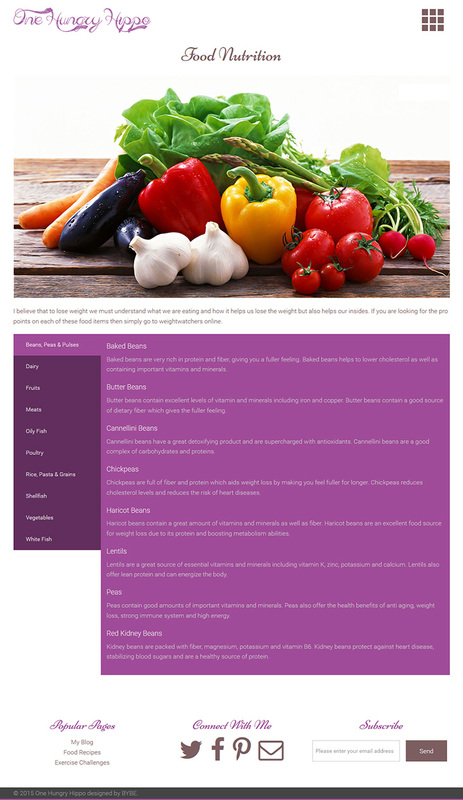 Lauren wanted a blog to motivate her to improve her quality of life through eating healthier foods and good exercise. Lauren hopes that her blog will help others all around the world with similar life challenges. Once Laurens blog is established she hopes to build a brand (One Hungry Hippo) and hopes to provide quality online reviews on a wide range of feel good products that will help shape peoples life styles for the better. 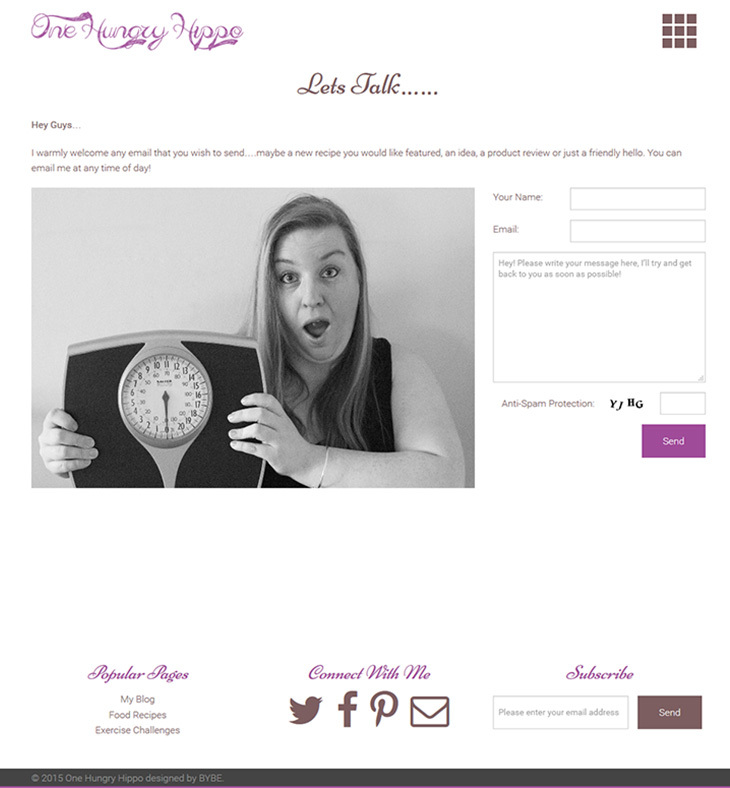 Since this was a pro bono project we needed to ensure that Lauren had a website that she could easily manage herself without having to pick up her phone and dial us every 5mins, so we opted to use WordPress simply because it’s by far the easiest blog content management around… or at least we think so! Using Zurb Foundation as our favourite choice of responsive design frameworks we designed a responsive blog that offered a clean and user rich experience. We also made use of Font Awesome so Lauren could easily use social fonts and other icons without having the need to upload new icons. Combined with our skills and experience Lauren believes that we delivered a project that will help her blog design stand out from all the rest in her niche. We wish her the best of luck and hope that her site gives her the edge she needs.